'MyCongress is a portal to detailed information about your elected U.S. Congressional officials. Track their news, video and Twitter feeds. Look up their official Open Congress profile or contact them directly. MyCongress helps you get in touch with your government. '***UPDATED FOR 113th CONGRESS***This app has been recommended by Kathy Schrock as an evaluating tool in Bloom's taxonomy.This is a free app. "Introduction to Physical Oceanography," is a textbook for upper-division college students and new graduate students in oceanography, meteorology, and ocean engineering.The text is available for download in PDF format for personal use or for use by students. Copycenters such as Kinko's can make spiral-bound copies with heavy covers, printed directly from the PDF file, for around $20. 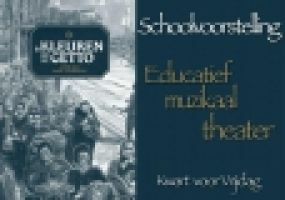 De Kleuren van het Getto is een educatief muziektheater gebaseerd op het gelijknamige boek van Aline Sax en Caryl Strzelecki, gespeeld door Kwart voor Vrijdag.